Our apartments Broadbeach Gold Coast are the ideal base for exploring all the fun, beauty and excitement of the Gold Coast. Relax and sip a cool drink on your apartment balcony, take a lazy dip in our sparkling onsite pool or cook up a delicious BBQ lunch using the guest barbecue facilities at our Broadbeach resort apartments. There is truly something for everyone in centrally located Broadbeach. Take a guided tour of the famous Queensland Hinterland and explore the bush by foot or horseback, marvel at glow worm caves or simply find a scenic spot for a peaceful picnic with the family. Book a scuba diving expedition and discover the secrets of the Pacific, take a leisurely cruise of the Gold Coast waterways or go whale watching just half an hour from our Broadbeach family holiday accommodation. For a truly memorable holiday experience, why not treat the family to a hot air balloon flight along the scenic coastline of the Gold Coast. Our apartments Broadbeach Gold Coast are close to two of the best shopping experiences in the region: the Pacific Fair Shopping Centre and The Oasis Shopping Centre. A haven for fashion lovers, Pacific Fair boasts over 100 clothes and home ware stores, including all of your favourite high street brands. 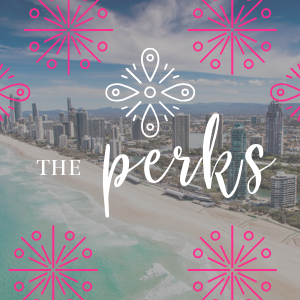 After you have tracked down the perfect holiday souvenir, check out the centre’s 12-screen cinema or sample the best contemporary food from around the globe at one of the restaurants close to our apartments Broadbeach Gold Coast.